DietBon Review : Angélique lost 10 kilos in 4 months with Dietbon ! "When I hear my children saying to me, "Mommy, you're so beautiful," it’s a perfect reward for having lost weight!" I tested several diets and they were all unsuccessful. I even went to see a homeopathic doctor, but his method didn't suit me, I felt frustrated. He forbade me to eat sugar, which was very complicated for me because I became very dependent on sugar. In the end, I no longer felt any pleasure in eating. Then last summer, the click: I had reached the 85-kilo mark. I didn't recognize myself anymore, I was sick to the core to see myself like that. So, I set myself an objective: to regain my pre-pregnancy figure and feel good in my body again. A colleague told me about the program that was a success for her. So, I started my own adventure a few weeks later. 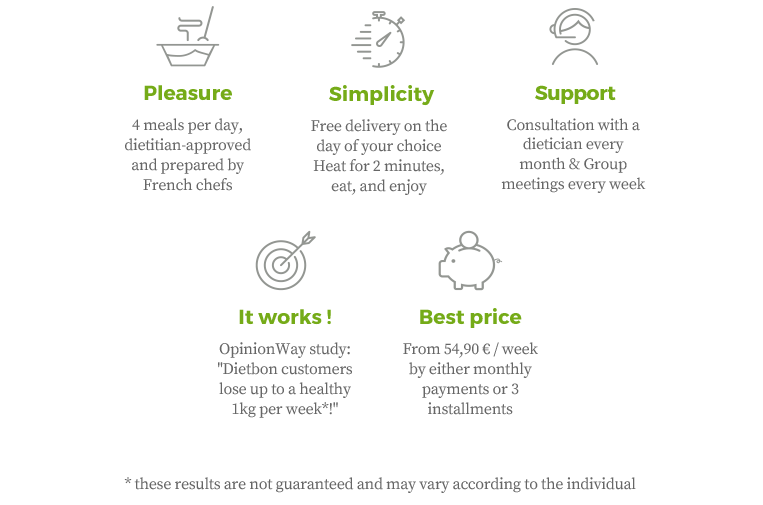 For me, the real plus at Dietbon is the possibility to choose your meals. I have the freedom to say to myself: "Today I eat this, tomorrow it will be this". During the whole program and even today I really enjoy my meals. A big fan of Indian cuisine, I was more than happy to find a whole range of Indian dishes à la carte! My dietician was a great help. She taught me to manage my quantities, to better understand how to control emotional eating and above all to reconnect with my eating sensations. Having her on the phone every month was a real source of motivation. Confiding in someone really does a lot of good. I never felt like I was on a diet and I even rediscovered foods I didn't like, like the tuna I enjoy cooking today, in addition to all the recipes in the book that are available. Today I have rediscovered the pleasure of food. I no longer eat, I taste, I appreciate, I take the time. I prefer quality over quantity, I listen to myself a lot more. I have significantly reduced my sugar intake and I can finish a meal without needing it. My back problems have disappeared, I am no longer breathless, and I take much more pleasure in walking. Today I am proud of myself and the journey I have made. When I hear my children saying to me "Mommy, you're so beautiful", it’s a perfect reward for having lost weight!